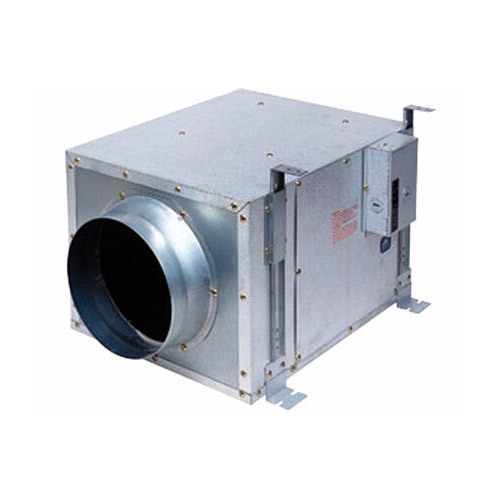 In-line fan that provides ventilation to multiple rooms at once. CALL our Panasonic Ventilation Fan experts toll free! 888-875-9283. 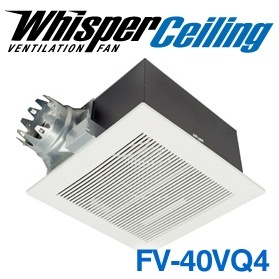 FV-40NLF1 WhisperLine 440 CFM In-Line Fan. Panasonic In-line fans that provide ventilation to multiple rooms at once. 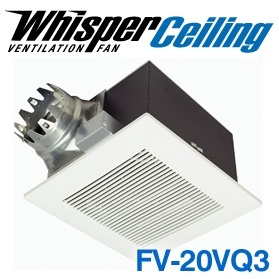 Panasonic WhisperLine fans are designed for multiple-task ventilation. 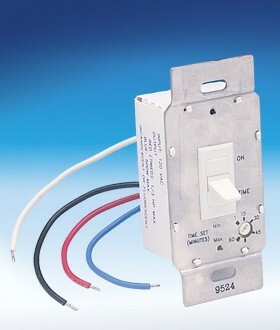 This means that you can ventilate multiple areas or multiple rooms with just one fan. For example, you can place inlets over the shower, tub, toilet and-or vanity in a single bathroom and still use just one fan. 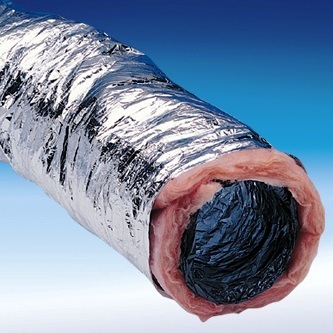 In recent years, homes have become more airtight and energy efficient. While this lowers the cost to heat and air-condition a home, it also retains pollutants that can be hazardous to its occupants. One way to improve the air quality of the home is through whole-house ventilation with a Panasonic WhisperLine fan, which removes stale air and provides fresh air on a slow, continuous basis. 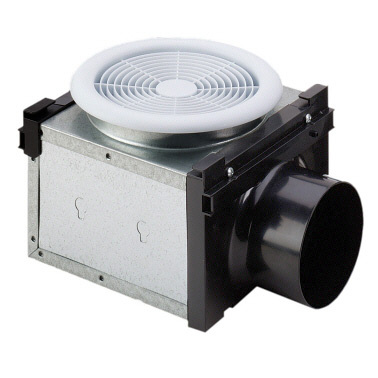 WhisperWarm fans feature a totally enclosed condenser motor and a large, double suction blower wheel to quietly move air. A small wheel turning very fast will create more noise than a large wheel turning more slowly for a given airflow. 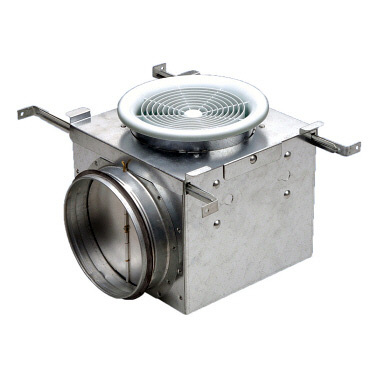 Our fan uses a wide blower wheel that moves a large amount of air at reduced RPMs. 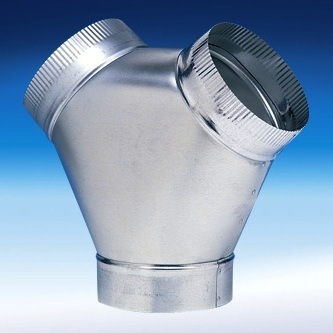 The blower wheel is also designed to draw air in from both sides, which helps keep the noise down, as there is more area for the air to enter the wheel. In fact, it is quiet enough that you might not even know it's on. Low profile, family-designed grilles feature an adjustable airflow so you can balance the airflow from multiple inlets. Inlets closest to the fan will pull more air than ones further from the fan. By adjusting the inlets, you can balance the airflow from each inlet to create even air circulation.